As the old saying goes, time is money and to save money, you shouldn’t be wasting time. The right plan and Disaster Recovery solution can save both. Believe us, we know it’s a manic job to manage an IT department and we’ve seen first-hand how many different tasks managers have to juggle just to keep operations running smoothly, let alone finding the time to evaluate their current Disaster Recovery solution. For me, when I think about Disaster Recovery, two phrases come to mind. The first one is the one above, and the second is the cliché expression that ‘failing to prepare means preparing to fail’. 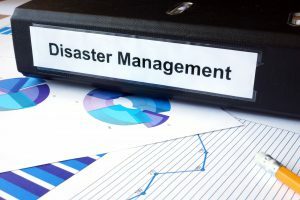 Although these may sound like obvious things to consider, in a recent Business Continuity preparedness survey, a staggering 31.5% of organisations admitted that they didn’t have a complete Disaster Recovery plan in place. If your business is one of the 31.5%, just imagine how much time and effort it would take attempting to find (if it’s at all possible) or recreate this lost information. If it can’t be recreated, how much money would this scenario cause the business to lose? Again, I can offer a rough guideline on this. In another Disaster Recovery survey conducted in 2016, 98% of businesses that were reported that a single hour of unplanned downtime would cost their business over $100,000, with 33% reporting that it would cost $1-5 million. When considering the increasing reliance on data from 2016, this value would have only grown. Not only does a strong Disaster Recovery plan save time, the right solution also makes a big difference. Traditionally, tape-based backups were a chore, especially when complying with the 3-2-1 rule. Not only would you have to manually back up each device on a regular schedule, you’d also have to transport a copy of the information off-site. If only one file needed retrieving, you’d also have to allocate time to finding and restoring the specific file. The file type and size could also add extra time on to this total. Thanks to the cloud and advances in technology, the process of backing up and retrieving information has revolutionised. If you’re interested, you can read more about the evolution of traditional solutions in our blog ‘tape vs. cloud backup’. 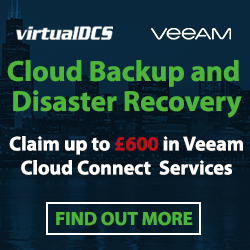 At virtualDCS, one Disaster Recovery solution we offer to our customers is Off-Site backup, utilising Veeam Cloud Connect technology. As its one of our leading services, I’m going to use it as an example to highlight the resource saving features that are available in the market, today. With this particular cloud solution, your department can take control of its data, with the ability to access and recover hosted repositories from one central console. There’s no wait time and cheesy hold music as you don’t have to contact any external parties for assistance. The department could also track repository consumption with ease, quickly restore entire Virtual Machines or search and restore a single file a within a couple of clicks. This is infinitely faster than non-cloud solutions. 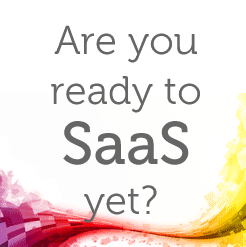 The right cloud solution can also provide these services at a lower cost than traditional tape-based solutions. 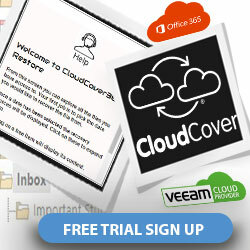 If you’d like to hear more about Veeam Cloud Connect, follow this link. If you’d like to speak to virtualDCS about finding the right Disaster Recovery solution and how we can make your life easier, give us a call on 03453 888 327 or drop an email to enquiries@virtualDCS.co.uk We’re more than happy to help.